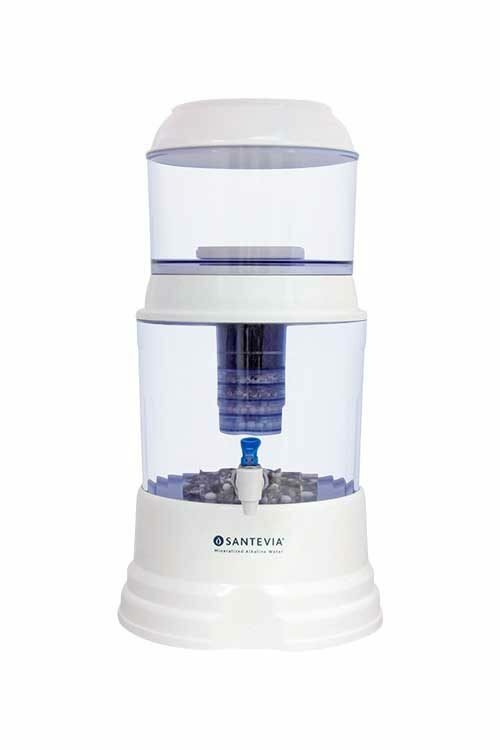 The Santevia Alkaline Gravity Water System restores your tap water to a clean, great-tasting, mineralized and alkalized state, using the power of gravity alone – no chemicals, artificial materials, water pressure or electricity! 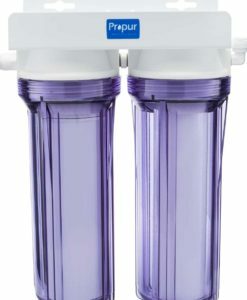 Every drop drips through a system of natural filters which clean and infuse your water with earth-derived minerals. 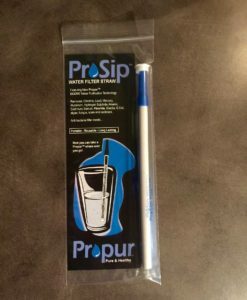 The result is great-tasting water which helps you to keeps you stay healthy and hydrated. 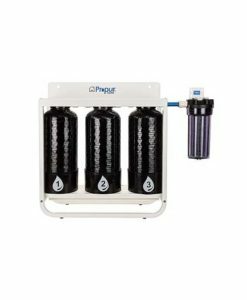 The Gravity Water System employs a unique 8-Stage Filtration System which simulates the earth’s own natural water purification systems. 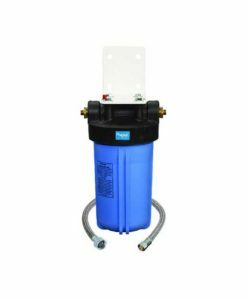 Constructed from highly compressed and fired diatomaceous earth with a pore size of 0.3 micron, this pre-filter removes rust, sediments, bacteria, germs and parasites. This filter utilizes porous coconut carbon charcoal for an astounding 65 acres of purifying surface area. 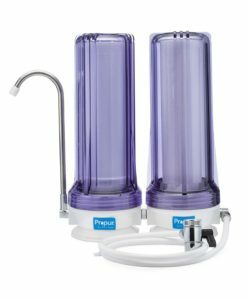 It filters chlorine, herbicides, pesticides, pharmaceuticals, industrial chemicals, trihalomethanes (THMs), heavy metals, organic chemicals, odour, taste, colour and particulates. 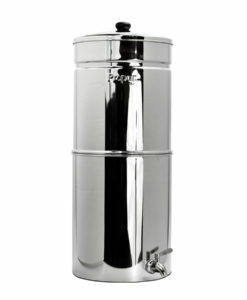 This stage also contains a KDF filter medium that inhibits the growth of bacteria in the filter and neutralizes heavy metals. This stage inhibits bacteria and neutralizes heavy metals such as lead, nickel, cadmium and mercury through an ion exchange process. It filters detergents, ammonium, agricultural chemicals as well as some types of radioactive ions and toxins. In this stage, porous Maifan mineral stones infuse ionized minerals into the water, promoting oxygenation and alkalization. Mineral ions encased in diatomaceous earth add calcium, magnesium and other trace minerals to fortify the water and increase the pH. Energy Balls, constructed by mixing earth and mineral oxides before comprising and firing them, assist with pH balancing and emit beneficial far-infrared energy into the water. During this stage, mineral stones continuously release easily absorbed, ionized minerals into the water, including calcium, iron, magnesium, potassium, zinc and other trace minerals. Embedded in the Santevia water spout, aligned magnets are suspended in the water, recreating the same magnetic forces that originate in the earth’s core and which water is exposed to as it flows over mineral-rich rocks in nature. The magnetic energy from the tap separates water molecule clusters. This results in greater bio-availability and maximum absorption, giving you the maximum hydration and alkalinity possible from each drop of water.